Pretty much every couple asks us, how do we plan our session? Do we pick the locations, or do you? The answer, unfortunately, is somewhat ambiguous: it depends. You will decide on the style & mood of the shoot, suggest a setting and pick your own outfits. We will pick specific locations and time of the day. Many photographers want to dictate the complete style and setting to a couple, including specific locations and that’s fine, many couples want that. We prefer to work a bit more heuristically. So, we ask that couples think about settings and locations that make sense for them and then hand the ball over to us to make beautiful images in that setting. So for instance, you may say you want to shoot in Glacier National Park or Joshua Tree or something else on our bucket list, or you want to do something more urban and shoot in downtown Detroit or LA, and explore record stores and alleys and city streets. That’s great! Now that we know that, we will figure out how to make beautiful images in that setting. We understand it would be easier if we just told you what we were going to do and where we were going to shoot, but that would make it all about us and this is most certainly, and in every way possible, not about us. We want to know what inspires you and what makes you feel an intimate connection with your soon to be spouse. Whatever you guys are, whether that’s hikers and climbers, or artists, or athletes, or Netflix watchers, the setting and location will affect your mood. So it doesn’t matter if we are shooting in your home, in a museum, by a lake, or the top of a mountain, what matters is that you guys are in a place that you enjoy being in. If you really want an adventurous location, check out our travel bucket list, as well we’ve written about some of our favorite adventurous locations in the midwest. First, decide on the moods that fits your personality and relationship. How Do I Know What Mood Is Best For Our Session? This is all about how you relate to your partner, and how can we express that best in your photographs. How would you describe the best parts of your partner? Is he or she confident and funny? Smart, beautiful and kind? Does he or she make you feel safe and loved, or make you smile when you’re mad or always cheer you up when you’re down? What do you love about your relationship? Is it the way you can read each other’s minds? Or how comfortable and contented you feel when you’re together? Is it the way you can always make each other laugh, or the way you fit together when cuddling? What’s a perfect day together? Would you spend the whole day in bed? Would you go on a hike? Or go exploring a new part of the city? Or maybe hopping on a plane to a new place? These are the things that make you guys great! It’s is what makes you unique and special. Those are the things we want to capture. Here’s what we want you to do. Each of you take a piece of paper. Each of you pick 5 descriptor words that best describe your relationship from the list below, then scroll down. Don’t worry, some of these don’t really make sense. Just trust us. Did you both finish picking your words? Ok. Scroll down. Great! Now at this point you’re probably thinking: “this makes no sense.” And you’re totally right… First of all, we are talking about a mood here. That’s hard enough to define, let alone convey to another person like your photographer. Just send us your list and which moods you thought they went with and we will use it to inspire the images we create together. Now, based on the moods and words you chose we want to give you some inspiration. Let’s start talking about SETTINGS. In Home Sessions definitely fall under the low-key / chill and romantic / intimate moods. Everybody loves them on Pinterest and Instagram and you know what, so do we. They’re magic. There is something about being in the your space that naturally makes the session so comfortable. We love capturing the natural moments as we recreate your favorite activities: making coffee, lying in bed, snuggling on the couch, reading books or playing music. It’s one of the most natural and beautiful ways to capture the essence of your relationship. My home doesn’t look like a spread from Kinfolk magazine so we can’t do it. Bah humbug! This is about two people in love, not being a home decorator. This just isn’t true. Now, seriously, if you are really self conscious about it, what we have done in the past is just rent an AirBnb with cool style. They are usually super cheap. BUT (! ), the majority of our in home sessions happen in totally normal homes with totally normal people. You shouldn’t feel self conscious at all, we will take good care of you. 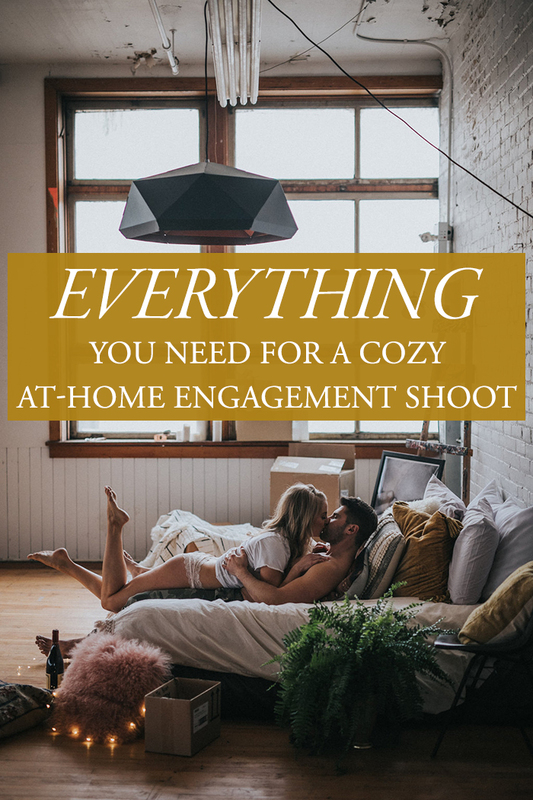 Really the only reason we would ever recommend not shooting in a couple’s home is lack of good window light. If you want to do an in home session, but have questions about if your home will work, just send us some photos of the living room, bedroom and kitchen and we will tell if we can make it work. We want photos for our save the date cards, or to frame and put on the wall, and we don’t think this will work for us. Now you may not end up framing a huge portion of these images and then putting them up on the wall, but you will absolutely treasure them for the rest of your lives. Can you imagine how amazing it would be to see the home your parents lived in when they were first married? You’d love that! Typically we do in home sessions in conjunction with another type of session. In fact, that’s exactly what Shanna & Zach did and it was incredible. Check out their session here: Shanna+Zach // Oak Openings Engagement. An epic destination is obviously a great choice for your engagement photos, but some couples feel most comfortable taking their engagement photos at home! Are you all about that REI adventure life? Do words like Dolomites get your heart pumping? Then let’s go out in the woods or mountains and make some memories. Adventure Sessions fall under the fun / energetic and romantic / intimate moods and are all about combining epic backdrops with epic love. Whether it’s your favorite local pine tree forest and the beach or rolling down Highway 1 in Big Sur National Park, this is about remembering that this is a special time in your life and it deserves to be an incredible experience. Uhhhh, did you forget we live in [insert flat state without any mountains]? Nope. First of all, there are probably a lot of beautiful places in your area, we are always surprised at some of the locations that our couples find. 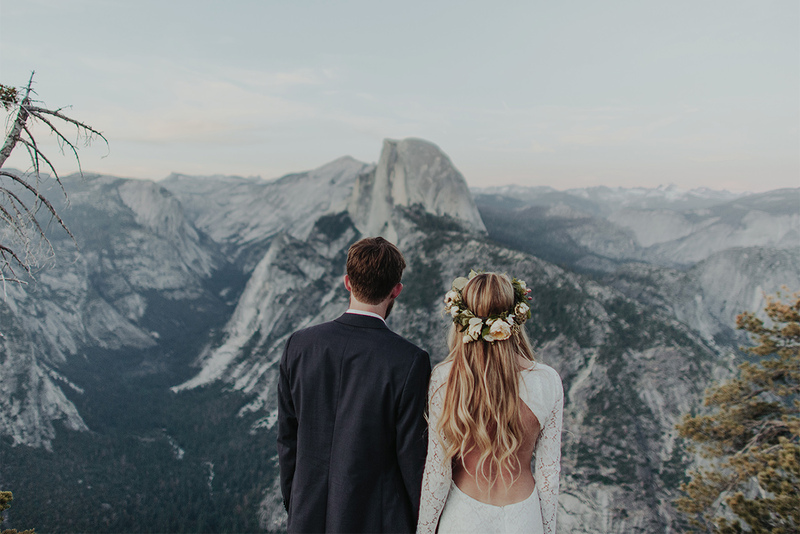 If you’re in the Midwest, we’ve written about our favorite places here: Adventurous Locations For Your Midwest Session or Elopement. Traveling to [insert incredibly beautiful national park] is not in our budget. A lot of folks assume this. They think they will have to spend thousands of dollars to travel to places like Moab, Utah or Cannon Beach, Oregon. But it isn’t always true. First of all, check out our bucket list (these are all the places we will travel for reduced travel costs). We offer flat rate travel to most locations, so you won’t be spending a fortune. And at the end of the day, this isn’t just about an engagement session. This is about celebrating this time in your life. Making a vacation out of your session and seeing something epic will be a memory you and your partner will treasure for the rest of your lives (and you’ll have the pictures to prove it). There is something about cities that speaks to our souls. Maybe it’s lines of great architecture or hustle and flow of the people, either way (or probably because of both), we love exploring cities. The great thing about exploring a city is the mood can vary so much. We can go on a date day and explore record stores and coffee shops with low-key / chill vibe, or hide out in alleys and doorways, exploring the light and create something with a romantic / intimate mood. Or we can put on your most incredible outfits, pump up the volume on our favorite spotify playlists and run around town making art with a fun / energetic mood. We love making our urban exploration sessions about telling a story. The idea is document your togetherness in a very natural way, by that we mean hanging out with you guys. During the session, we want to capture your interactions in many different settings and locations. So practically, that means we will plan out several, usually 2-4, places and activities that fit your style and visit them. Whether that means record shops and book stores, or cupcakes and coffee cups, or bowling and beers, we want to see and do things that you guys love. We will start with the locations and we will just hang out and document you guys in lots of natural situations. So what are some location ideas to research for your session? There are definitely some details to consider when planning your session and don’t worry, we are ready and willing to help. Guys, we aren’t going to tell you what to where. On a scale of ZERO – CHILL, that is a big zero. But we also get that everyone wants to look their best and an amazing outfit can do that. Take this as your official excuse to go shopping or order that dress that’s been sitting in your online cart for 2 months. Confidence is everything in photographs, so we want you feeling good, comfortable and like yourself. We have a couple Pinterest boards you can check out, if you really want to find some inspiration: Guys Outfit Inspiration Board and Girls Outfit Inspiration Board. Another thing to consider when planning your session is the quality of light outdoors during that time of the day. Some of the most beautiful light during the day occurs as the sun sets or rises. In fact there is a name for this time of day, its called the “golden hour”because that light is solid gold and because the color of the light is literally golden. You can experience that golden light during the sunset or sunrise, so depending on where we are located (i.e. – east or west facing) it might make sense to go with a sunrise or sunset shoot. The great thing about the sunset is that as the light goes down we can enjoy twilight, which is a truly beautiful time of day. In fact, twilight is know as “blue hour.” We can shoot at other times of the day, especially if we are shooting in a multiple locations that requires some travel time between them or if the location is indoors. We might shoot over 2 hours or 4 hours, so the light will naturally change during that time. But generally speaking the worst light of the day is right in the middle of the day (remember this for your wedding timeline!) due to the harsh shadows thrown by the sun. We will double check the timeline and locations that you choose, and don’t worry, if we think there is a problem we will let you guys know. Who you are as a couple is what makes this special. We won’t try to make you be something you aren’t and won’t force you to shoot in a location or style that doesn’t make sense for you. We will find our own way together and we promise you will have a great time. We can’t wait to see what we will create together! !